DP's from doodlebug, stamps from Lil' Inker Designs, baker's twine from The Twinery, misc. tag and rhinestone adhesives. love this, Cathie! 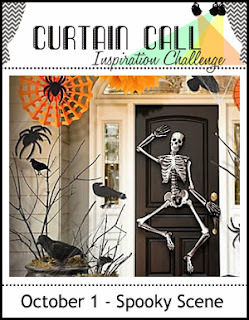 it's perfect for our spooky scene challenge! thanks so much for playing along at the Curtain Call! So I absolutely ADORE tags on cards! This is GREAT! 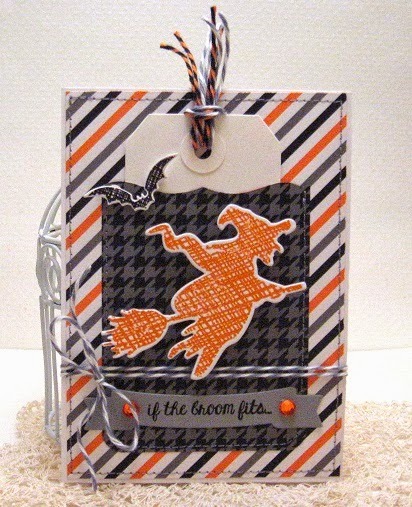 And of course one of my favorite Halloween Sentiments EVER!! Thank you so much for joining us at the Curtain Call Inspiration Challenge "Spooky Scene!" Make sure to come back on the 15th for our all new challenge! !